With krumping chickens and insane circus tricks, Fright or Flight will surprise, shock and sweeten your senses. Created by the new Australian circus ensemble 3 is a Crowd, this show will literally have you on the edge of your seat biting your nails to see whether or not they can pull off blindfolded aerial manoeuvres and in hysterics as these three extremely talented women dance out the different characteristics of feathered creatures. Its chaotic but incredibly precise, comical but surprisingly moving and simply out-right absurd. Winner of the Best Circus and Physical Theatre Performance at Adelaide Fringe Festival this year, this endearing and exciting new work is incredibly engaging and not to be missed while its in Brisbane! Get in quick because this show will surely sell out. 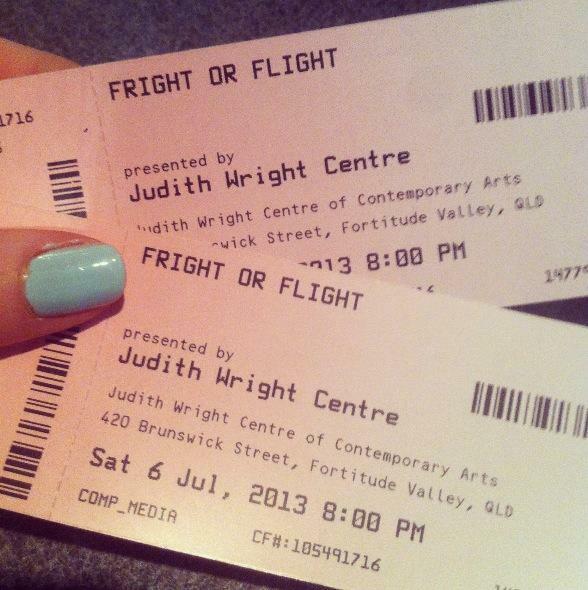 If you’re a bit short for $$ The Judith Wright Centre does ‘Judy Tuesdays’ with all tickets only $19, otherwise adults tickets are $28 and students $22. 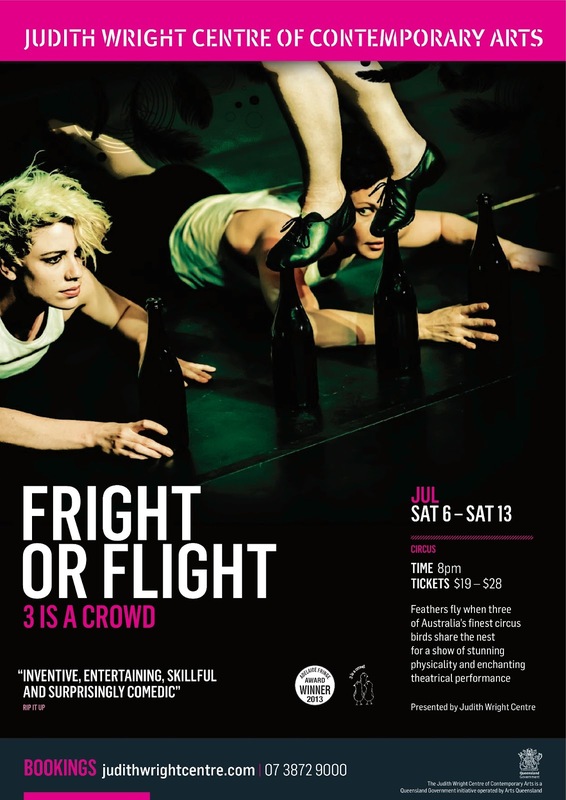 Fright or Flight runs from Saturday 6th of July to Saturday 13th of July, all shows at 8pm, get tickets here! K: We both lazed on the beach at Burleigh Heads on the Gold Coast. 2. How would you describe Fright or Flight in 3 words? 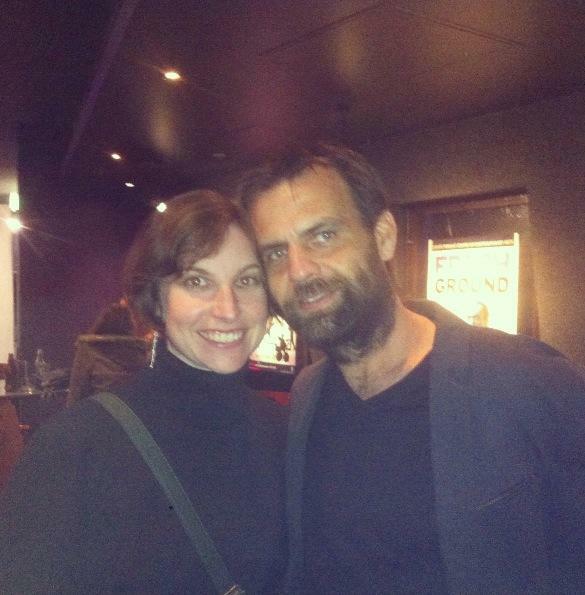 K & C: Unusual, peculiar, funny. 3. Fav place to have brekky in Brisbane? C: Cat Empire at the Hi Fi in West End. C: Imogen and I went to the Kelvin Grove Markets, had coffee and dumplings and both cleaned our houses because we are multi-talented domestic goddesses also. C: The Low Road in Windsor. C & I: Quilt at GOMA. 5. 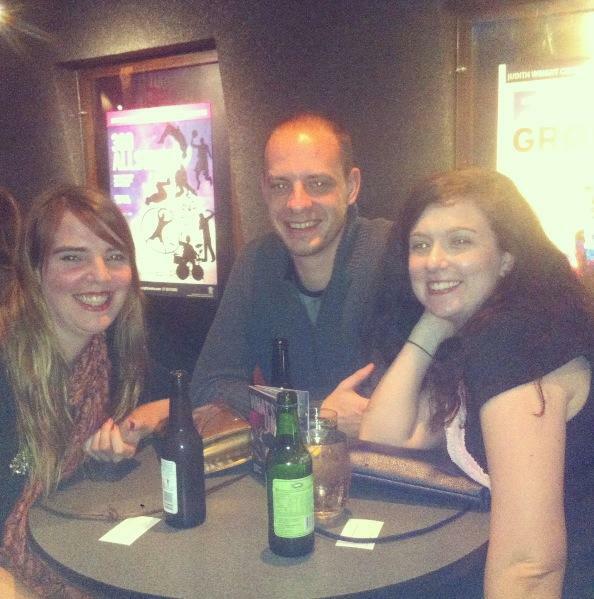 What brought you along to tonights show?